after 34 years as an Insurance Consultant. 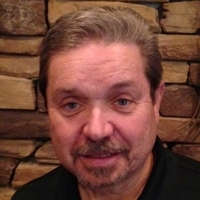 Previously, Ed served as Chairman and member of the Cherry Hill Zoning Board for seven years. He was also a County Committee Representative for ten years. At present , Ed serves as a Board Member for People For The Poor. He feels strongly about giving back for all the blessings he and his family have received. Ed enjoys painting, stained glass, reading, golf and spending time with family and friends.